The ranking seems to be predictable already. I know a couple of you already have 2PM in mind as the next one. 2PM got up high in this ranking because they do have talent to outperform those that were eliminated before them. “Again and Again” was the song that catapulted the group to where they are now. Well, their Idol Army hosting job also might have had a hand on that. So far, the said song is still their best. “Again and Again” showcased and highlighted 2PM’s vocals and stage presence. Also, their manly image made them stood out from the rest of the boy groups since most if not all of these groups are banking on the cute image. We all know 2PM can dance, but so does U-Kiss, Infinite, and MBLAQ. What sets 2PM apart from other dancing group is their vocals. They are very good live. 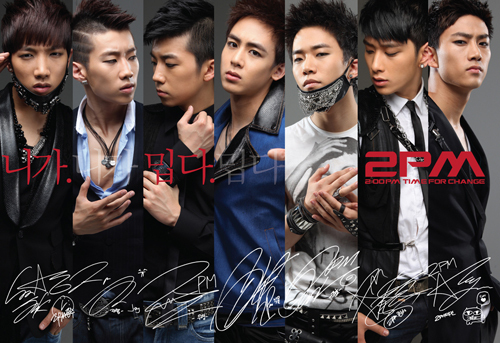 2PM has the strongest vocals of a male group currently active. Again, as a group. When I say strong, I don’t mean reaching those high notes. What I mean is that even in low register notes, the vocals are impressive. Though 2PM is not as varied as 2AM, they are very good at what they are. To think of it, all of JYPE artists are very good at what they are. Hmm. Plus points again for JYP. A clear example is Hwang Chansung. 2PM’s maknae vocals are in the lower octave. His range can be compared to MBLAQ’s Chundong, U-Kiss Dongho, and Infinite’s L. But I ask you, who can sing better if ask to sing the same song? 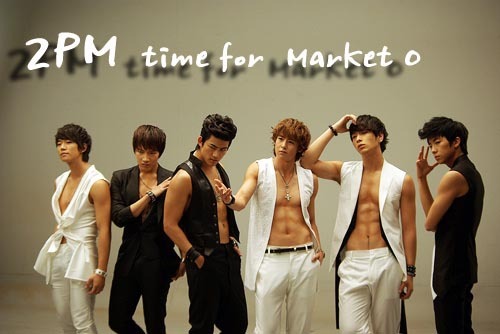 Again, 2PM like 2AM and g.o.d. are very good on what they are. They may not be able to sing 2AM songs as a group but they’re perfect if they’re given songs that fit them as a group. My main concern with 2PM right now is that their talent is not maximize. “Again and Again” is an epic song because of it’s execution amidst its difficulty. But after their “Time for Change” promotion, their songs have been “theatrical” (heartbeat) and “easy” (Without You and I’ll Be Back). They clearly are following the girl group trend of catchy songs and dance but “Again and Again” was also catchy. Why won’t they go back to that? I read in allkpop that Taecyeon decides if a song should be included or not. So maybe he’s a reason why 2PM’s songs are all so easy. I’ll say it outright since I’ll be gone soon, I think it won’t even matter if I say it. I don’t like Taecyeon. He’s the reason why I abandoned my fandom of 2PM aside for the fact that their songs have literally declined in appreciation. Since Jay Park left 2PM, all eyes were set on Taecyeon. And Taecyeon is loving it which was a turn off for me. Do you guys had this loser schoolmate in high school that wants to be popular so much, he’d do anything? That’s what I see on Taecyeon. Remember the SNSD Sunny thing? The SNSD Yuri thing? SNSD YonnA thing? And recently, the SNSD Jessica thing? Can you see a pattern? I don’t hate Taecyeon, it’s more of dislike. His antics are just so pathetic, it’s sad. I mean he’s a singer for god-sake not a stripper. Going back to 2PM, I do hope that JYP will provide 2PM with songs that live to the groups’ potential. How can an artist grow if you’ll just be giving him things he can already do. It’s just like trying to learn Mathematics but all the teacher is teaching is addition and subtraction. I’ll end it here. I’ll leave you with my favorite performances of 2PM.